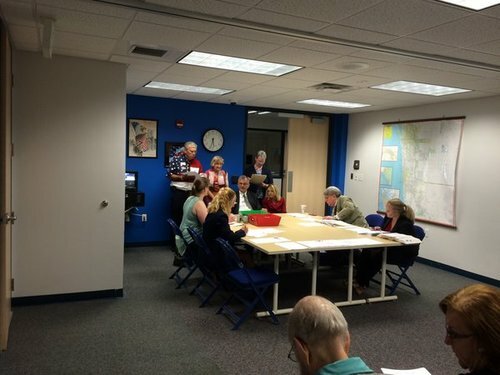 As of 1:30 p.m., voter turnout was at 41.25 percent. 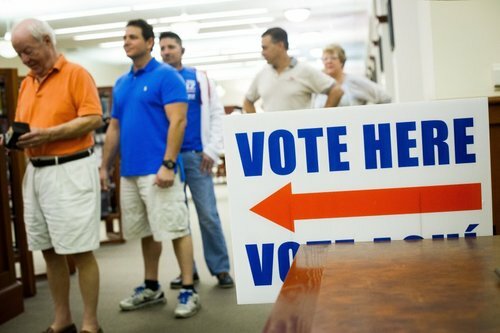 So far today, 20,760 people have voted, according to the Collier County Supervisor of Elections. 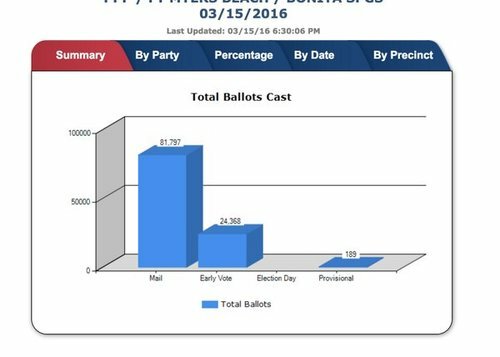 The turnout percentage included about 30,000 mail-in votes and about 26,000 early votes. 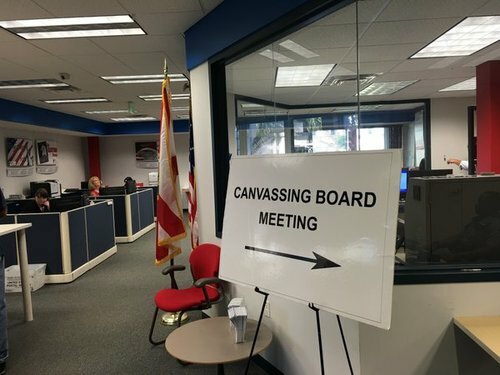 Early voting was March 5 to March 12. Naples Mayor candidate Bill Barnett delivers bottles of water to volunteers working the poll at St. John Episcopal Church at 2 p.m. In past elections, he usually could predict the outcome but not in the three-way race for mayor. "I just don't have feel," he said. "Everybody says it's going to be a real close race." 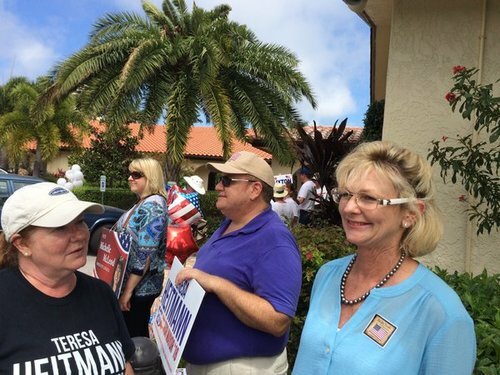 Naples mayoral candidate Teresa Heitman says voters are supporting her at the polls. City residents encouraged her to run and so she did, despite a former and current mayor on the ballot. "They want a new mayor," she said. Every car honk caused celebration among the handful of sign holders along Old 41 Road. 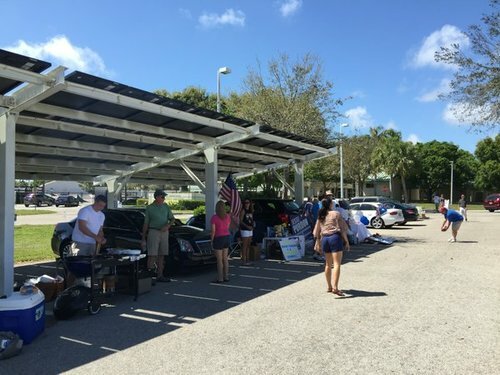 They were outside of Gospel Baptist Church, Precinct 41, in the peak of Florida's midday sun to support Marc Devisse, who is running for the District 1 seat on the Bonita Springs City Council. The other candidates in that race are Amy Quaremba and Richard Ferreira. Brandie Dickerson, a marketing manager at Devisse's business, said her boss is the right person to represent the growing city in south Lee County. 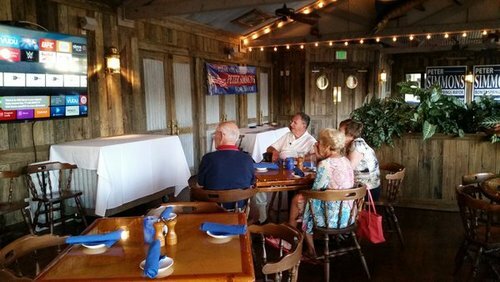 Though she lives outside of Bonita Springs and cannot vote for him herself, she believes city residents will assure a Devisse win. "He will do an excellent job of bridging the gap between working families, small businesses and retirees," Dickerson said. Then they saw Ronda O’Connell. She stood in the shade, within chatting distance of the Rubio booth. She held a homemade sign with red-and-blue letters spelling out #TEDCRUZ NAPLES. An exit poll showed Trump winning by a landslide at Precinct 521, but not all of those votes were cast enthusiastically, voters said. Nancy Gorla, 59, a retired American history teacher from California, called herself “really angry” about the lack of candidates “to believe in” this year. Alan Swailes said he didn’t look for Trump’s name first on the ballot, but ended up voting for him anyway. 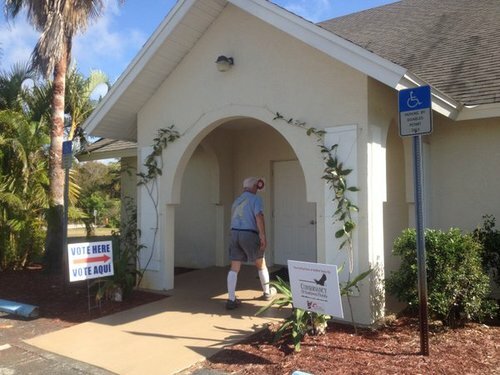 “I looked for None of the Above on the ballot, and it wasn’t there,” said Swailes, 77, of North Naples. Shane Maxwell, 44, of Golden Gate Estates, also voted for Cruz, calling Rubio the conservative version of President Obama and saying Rubio hasn’t accomplished anything as a Florida senator. Trump, he said, is an unreliable conservative. Maxwell said he liked Cruz’ experience as a lawyer. “Out of the conservative choices, he’s the most direct connection to the Constitution,” Maxwell said. In a poll of 36 voters at Max Hasse park, Trump got 19 votes, Cruz, 7; Rubio, 6; Kasich, 2. On the Democratic side, Bernie Sanders and Hillary Clinton each got one vote. At Bonita Springs precinct 25, 68-year-old Sam Snell said he had no qualms about casting his vote for Trump. "I think he's going to be the one to take care of things," said Snell, a Southwest Florida native. Other voters were less certain. Tom Cady, 63, cast a vote for Texas Sen. Ted Cruz at the Bonita Springs YMCA Tuesday. Cady, who hails from Kentucky, said that he was impressed with Cruz early in the race, but the senator isn't his first choice. "I would vote for Kasich if he had a chance," Cady said. The Paullard, who cast their vote for Rubio, shared similar sentiments. They had both planned to vote for Jeb Bush. At precinct 205 in North Naples, Gwen Paullard and her husband cast ballots for Florida Sen. Marco Rubio to "keep [Donald] Trump from getting the nomination." But voter after voter in North Naples expressed support for Trump, a candidate they say will give the country a needed shock to the system. "We need change in this country. We needed it yesterday,” said Mariana Berezovsky. Relaxing on a bench under a shady tree, Luke Wood marveled at how short the lines were to vote Tuesday. 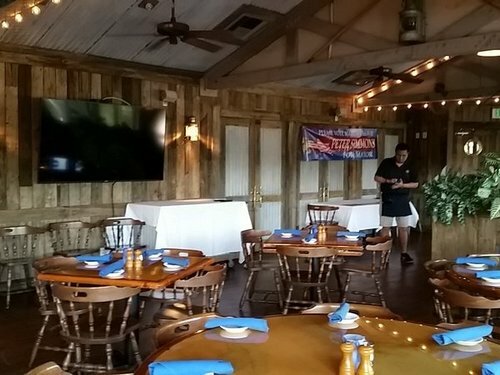 #SWFL Tonight, Bonita Springs is expected to elect a new mayor. The candidates are Steve McIntosh, Peter Simmons and Rick Steinmeyer. 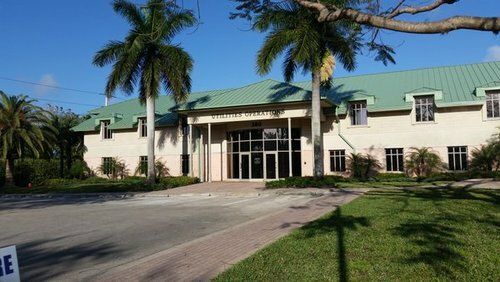 At Naples Oasis Church, Dan Stevens said he voted for Teresa Heitmann because he thinks the city is currently more worried about favoring businesses than about its residents’ needs. Right outside the polling station, Anthony Deluca said late in the afternoon that he had been there, carrying signs for Reg Buxton, since 8 a.m.
“We need to put somebody in the council who does what it needs to be done,” he said. He thinks the new council should look into what infrastructure is needed and manage the city´s growth. Stephanie Lucarelli was also outside the polling station to support Michelle McLeod. Lucarelli said she doesn’t live in the city, but she thinks McLeod is smart. “She seems really in tune with the community,” Lucarelli said.